Poppy Lodge is pet friendly. These are the reviews for Poppy Lodge. There are 30 reviews. very nice owners of poppy lodge, and very helpful if needed. Great holiday lodge. Bedrooms were nicely set up with lovely decor - all wardrobes were very spacious (but could do with some extra coat hangers & additional storage solutions such as shelves or drawers). Both bathrooms were superb with exceptional power showers & lots of hot water - main bathroom was very, very spacious. Dining table was very large with comfortable chairs, perfect for our family meals. Plenty of crockery & cutlery in the kitchen including plastic cups for the children. Saucepans weren't great, could do with an improved upgrade on these. Sofas were very comfortable, seated 4 adults no problem (not sure where an additional 2 adults would have sat though, our party was 4 adults & 2 children). 2 good flat screen TVs, 1 in the lounge area & 1 in the main bedroom, both attached to the wall - which was much appreciated as they were out of reach of the children. We would have appreciated the TV in the lounge area being larger, it would have made our film viewing in the evening much more enjoyable. Lovely garden & patio area with great views over the field behind us - this would benefit from a gate at the side of the lodge for peace of mind for any guests with children or dogs. Added highlight for us & our children was being right next to the chicken run, we got to watch them every morning after breakfast. The owners were all very friendly & had left some provisions at the lodge for when we arrived, which was a much appreciated welcome. Poppy Lodge is in a great location, this is a beautiful area & we had some great days out. Overall the cottage was very well equipped, clean, and modern. This is a lovely property in an ideal location for touring with lots of pet friendly places to visit in the area. I would highly recommend although you do need to book early. This property is popular and after spending a week here I can understand why. Superb accommodation in a beautiful setting. Friendly and helpful owners on hand if you need them but not at all intrusive. The location is ideal for sightseeing and we visited the Muchelnley Abbey, Montacute House, Sherbourne castle and gardens, Glastonbury Abbey and Stonehenge. Our dog was on holiday with us and we were able to take him to all of these places which allowed dogs access to the grounds so we all enjoyed our holiday. My husband enjoyed the Haynes Motor museum and the Fleet Air Museum which is a short journey away. Poppy Lodge was the perfect place to return to each day. It is clean, warm and very comfortable. For provisions there is a Sainsburys supermarket in nearby Sherborne or Morrisons and Lidl in Wincanton. If you don't want to bother to cook there is a very nice hotel a short walk from the lodge serving delicious food. Fantastic find. Excellent, clean accommodation with everything you could need. Comfortable first class furnishings. Loved the chickens and enjoyed seeing the 'girls' every day. Close to the lovely town of Sherborne, not far to Haynes Motor Museum and close to supermarkets etc. Weymouth about 1 hour away. Lovely Easter break and the owners even left us a chocolate chicken treat. We had a very relaxing time at Poppy Lodge. The lodge was lovely and clean and like new. We will definitely go back again next year. Had a wonderful holiday in Poppy Lodge! Everything was perfect and so quiet. The owners were lovely and very helpful. It was very peaceful with lovely views, and the accommodation was excellent. Really enjoyed our stay. A beautiful area with a secluded garden. We had a fantastic time and didn't want to leave. A lovely central place for sightseeing. A nice quiet cottage. The cottage was lovely and clean and plenty of crockery and cutlery in the kitchen. Fantastic accommodation, a home from home. Everything was perfect. Would have no hesitation in recommending this holiday property to anyone. Like many others in the Visitors Book, we are going back again next year. Fantastic accommodation. Perfect in every way. Relaxing environment and yet so handy for tourist attractions in Somerset, Dorset and Wiltshire. We visited Minehead on the north coast and Poole and Weymouth on the south. 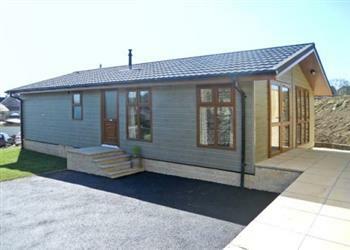 The lodge has every convenience for a superb holiday and the quality and cleanliness is second to none. We are going back for another holiday next year. Excellent quiet convenient location. Practical and functional dwelling suitable for families. Friendly hosts who would greet us. Special seasonal touches with Christmas decorations. Extra parking space for day visitors. Lovely country settting, very friendly and helpful owners. A great location with nice scenery. Clean, comfy beds and was well equipped and modern. We were 3 generations in one cottage - teenage to 60 plus, and all were able to find space and comfort. Lovely cottage in a very beautiful setting. The owners were very welcoming and accommodating. The surrounding area and village is absolutely breathtaking. Really lovely setting. Very clean. Perfect for our family. We would definitely use again! We very much enjoyed our stay, and would be happy to recommend it to anyone. A lovely clean, spacious and peaceful holiday home with everything we could need during our stay. The owners were friendly and helpful. Easy access to explore the beautiful Somerset and Dorset. Our best holiday accommodation yet! A very warm welcome including milk, eggs, squash, tea and coffee all put out for us when we arrived. The owners of the property were very nice and were always on site if any help or information was needed. We are hoping to go back again next year. There are no negatives for this home. Lovely decorated, it got everthing you need for a nice family stay, lots of privacy, centraly located, warm, quiet, very friendly owners. Just great for a short or long stay. 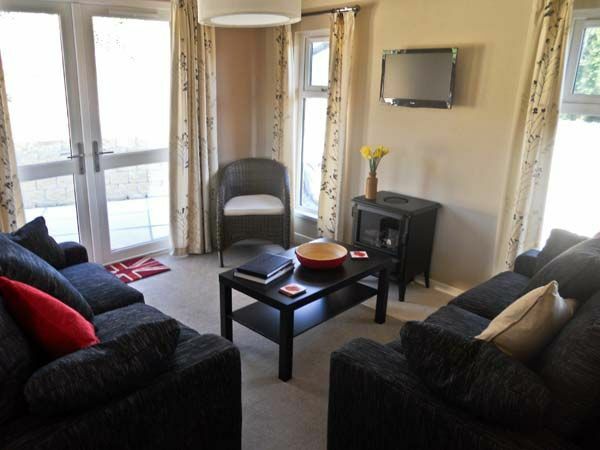 We recommend this home for any family looking for a nice vacation in a central location to visited the landmarks and cities in SouthWest England. A great place to stay, the accomodation had everything needed and the location was great for travelling around dorset and sommerset. With a very nice pub and little shop practically next door what more could you need. Wonderful accommodation in a peaceful village. Ideal for touring Somerset and the South West. Poppy Lodge was a fantastic place to stay and we had a fantastic new years eve dinner party there. Very nice holiday home set in a really lovely village owners very helpful. We would recommend to our friends and hope to go back in the future. Lots to do and see in the area. The property is nice and warm and well furnished. We go on a lot of cottage holidays and this chalet is one of the best. I liked the decor, the area was really beautiful with plenty of hills for running up. We could not have asked for a better place to stay. The landlords that we spoke to and encountered were very nice people. I will be back in the future. The lodge was well-equipped and in a good location - lovely friendly little village with good access to loads of interesting places. If you're looking for other cottages around Poppy Lodge, we've got some cottages below which may take your liking. There are 24 cottages within 5 miles of Poppy Lodge - and they have reviews too.